Surely, this cannot be an accident, right? 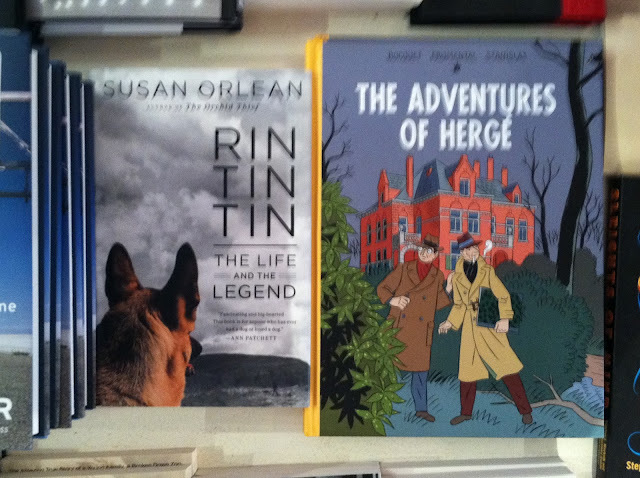 However, it’s beyond me how it is that Rin Tin Tin and Tintin haven’t already teamed up. I know, I know — poor Snowy would be heartbroken at first, but I feel he’d come around during a moment of especially high-caliber adventure. Kids, Our Prayers Are Answered! Oh, the Things We Saw in Burbank!